100 percent non-smoking hotel. 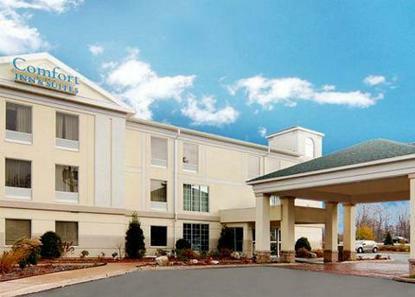 Perfect for leisure and business travelers alike and located in the heart of the Pocono Mountains, the Comfort Inn and Suites of Mt. Pocono features indoor pool and spa, free high-speed Internet service, deluxe continental breakfast buffet, business center, game room, wonderfully decorated rooms/suites with warm hospitality, and guest laundry. The hotel, located on Route 940, just north of the intersection of I-80 and I-380, is convenient to virtually all Pocono area attractions and businesses. No pets permitted. Hotel is 100 percent non-smoking.